You’re bumping along an unpaved road, thankful you sprung for the 4-wheel drive rental car. Enormous mountains surround you on all sides, soaring up and disappearing into the clouds. You haven’t seen another soul on the road since morning and your stomach’s reminding you it’s past lunch time. Suddenly, the road terminates and you’re faced with a massive body of water. Nearby, a ferry bobs silently in the mist, ready to catapult you ahead on your epic quest. You just reached the first out of three ferry crossings on your daring road trip down Chile’s Carretera Austral and the adventure is just beginning. 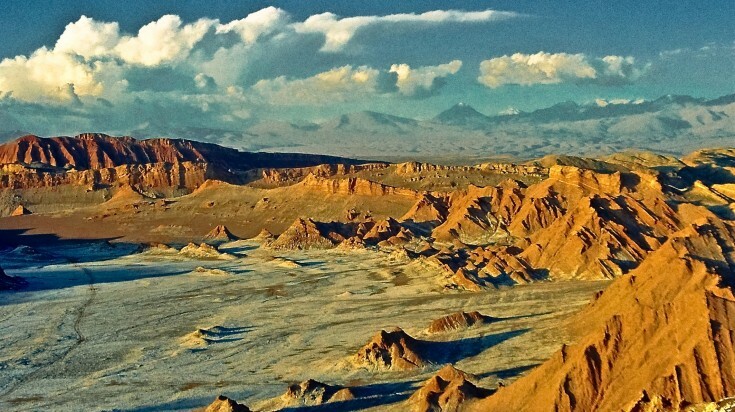 This could be a day in your travel life if you decide to give Chile a chance. 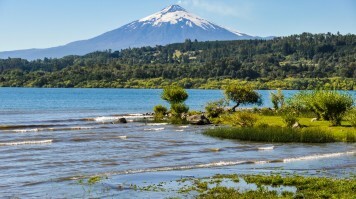 At over 2,600 miles long with mountainous terrain and remote regions, Chile presents traveling challenges. However, a trip here is not without its rewards. From rich local culture, to authentic towns, to the most untouched natural areas on the planet, the places to visit in Chile make all the effort to reach them completely worth it. Famous for epic trekking, monstrous glaciers, tranquil lakes, and iconic rock formations, Torres del Paine National Park is arguably Chile’s most sought-after attraction. 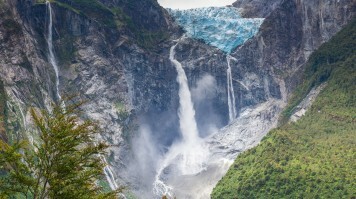 Adventurous travelers flock to Chile’s Patagonia region to spend their days ogling unbeatable natural beauty and nights spent camping under the stars. 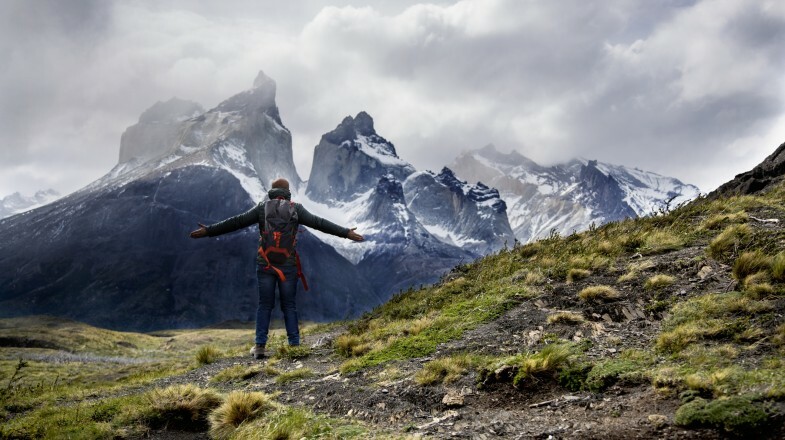 What to do: The W trek is the best-known trekking trail and takes visitors past the park’s worthiest sights like Torres del Paine, Glacier Grey, Los Cuernos and Valle del Frances. 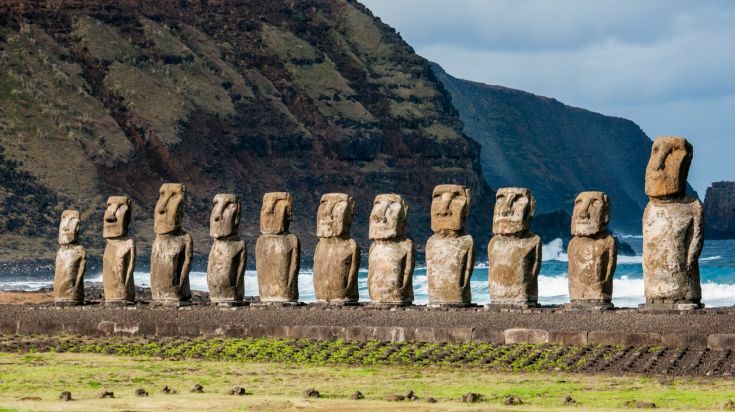 Lying over 3,219km off Chile’s eastern coast and 2,092km from any other populated piece of land, Easter Island is one of the most isolated inhabited places in the world and a photographer’s dream land. The volcanoes flow down to meet the beaches and the lush, rolling greenery makes an epic contrast to the untamed Pacific Ocean never lurking too far off in the background. Making the perfect model for photog’s portraits are the roughly 1,000 stone Moai statues. What to do: Don’t miss Rano Raraku and Ahu Tongariki boast the most impressive Moai statues. The former is thought to be the production site of the statues (housing over 400) and the latter has some of the largest, set on an incredible cliff-side location. Tip: Go at sunrise for photos of the sun splitting through the rocks. A small town built around an oasis on a desert plateau, roughly 5,000 people call San Pedro de Atacama home. The traditional way of life and other-worldly landscapes that expands throughout the Atacama Desert draw tourists who come to admire the naturally beautiful surroundings, simple lifestyles, and ancient culture that continues to thrive in the town. San Pedro de Atacama’s 16th century church is its iconic landmark and the Craft Village is the place to stroll through to witness the age-old local art traditions still practiced here. What to do: Moon Valley, with its lunar landscape, salt caves, and huge salt dunes molded by water and wind is undoubtedly a top place to visit in San Pedro de Atacama. Additionally, Tebinquiche Lagoon, part of the 1,200-square mile Salar de Atacama (Atacama Salt Flats) is a spectacular sunset vista area and photography hot spot. This bustling seaport lies 120km west of Santiago and possesses all the flairs and quirks one might expect from a World Heritage City. Valparaiso is praised for its rich culture and its ability to inspire local artists and poets. What should you do in town? Eat seafood, stroll the narrow streets, check out the city’s infamous collection of street art, peruse the art galleries, discover gastronomic treats and gaze upon the city’s magnificent architecture from its many towering viewpoints. What to do: Climb the stairs or take the El Peral funicular to Valparasio’s Cerro Alegreneighborhood, chalk-full of lively spirits, artists, street performers, bars, restaurants, churches, and gorgeous homes. For the best seafood in town, head to Caleta Portales, a fishing town within the city that offers up the freshest catches of the day. 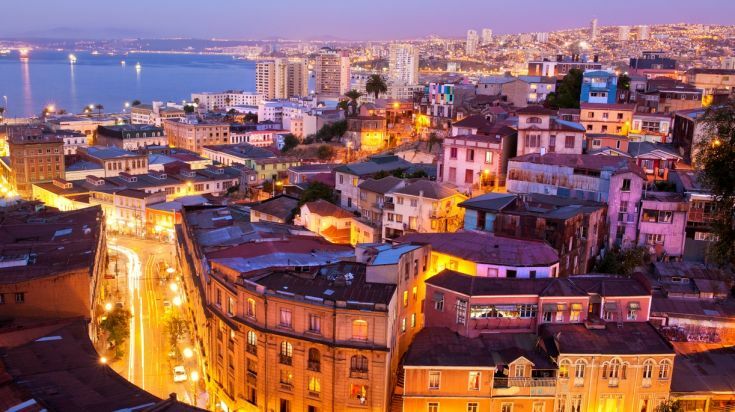 Find out the best options to get to Valparaiso from Santiago. 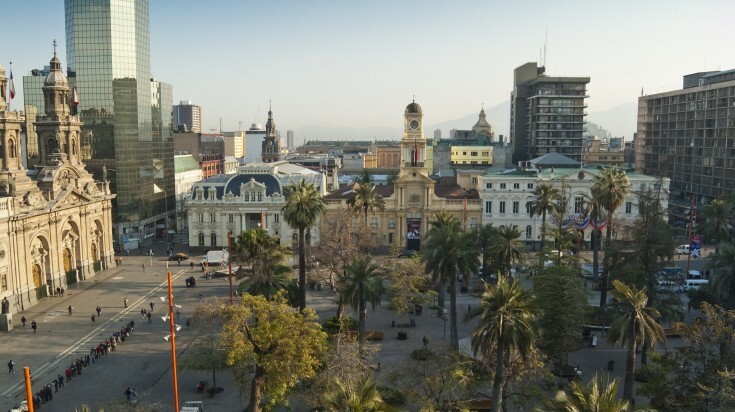 The country’s capital and the largest city is an obvious place to visit in Chile. This city offers a real taste and feel for what Chilean culture is all about. Explore its many neighborhoods, some of which provide a plethora of art galleries and others which are known for their markets selling local handicrafts. The historic city center has no shortage of museums and old buildings with impressive facades. Nightlife is also booming here — head to the Bellavista district to get your groove on. What to do: Explore Bellavista neighborhood. It is an artistic hub of boutique shops, art galleries, cafes, and houses some of the city’s best graffiti and street art. From here you can also trek to the top of the 914m St. Christopher Hill for city panoramas. For the foodies and the wine lovers, a trip to the wine valleys south and west of Santiago top the list of places to visit in Chile. Chilean vineyards quickly climbed the ranks and now claim a spot amongst the best wine producing regions in the world. There are several valleys battling for the spotlight, but the three best-known around Santiago are Maipo Valley, Colchagua Valley, and Casablanca Valley. The latter is Chile’s only cool-climate wine producing region and is known especially for its excellent white wines and pinot noir. 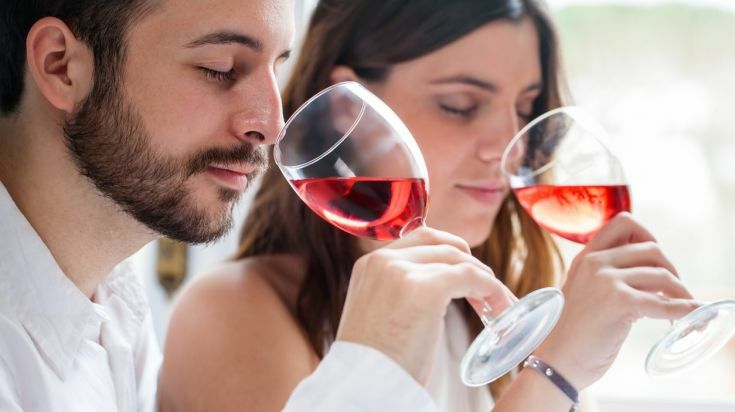 What to do: Check out Quintay Wine Estate and taste their perfected sauvignon blanc and Kingston Family Vineyards or Casa Botha for on-point pinot noir. Road trippers, this one’s for you. 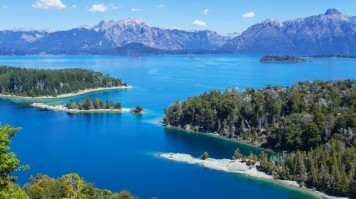 Cruise through rural Patagonia following over 1,200km of road on Route 7 while enjoying pristine natural beauty and possibly the freshest air in the world. The starting point lies in Puerto Montt and the road terminates in Villa O’Higgins. The remote stretch of road winds through several National Parks, along wild rivers and lakes, through untouched forests, and past glaciers and mountain ranges. Traveling the whole route from start to finish includes 3 ferry crossings. It’s a big time commitment, but if you’re seeking some alone time amidst nature, make the trip. What to do: The Queulat National Park — known for its untouched evergreen forests, temperate rainforest and miles-long glaciers — is an obvious must-visit. 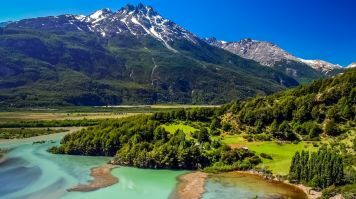 Tackle the rugged trekking on Cerro Castillo — a mountain 100km south of Coyhaique — promising jagged peaks, hanging glaciers and a gorgeous turquoise glacier lake. Chile’s most naturally scenic district runs 547km from Temuco in the north to meet Puerto Montt in the south. Renowned for gorgeous emerald lakes framed by snow-capped mountains and volcanoes, the Lake District provides endless vistas and incredible scenery. As beautiful and tranquil as the district is, it’s also known as an adventure capital. Rafting, zip lining, kayaking, volcano-climbing, hiking and alpine skiing are just some of the offerings. National Parks rule here, and no visit to the Lake District is complete without exploring one of them. What to do: Trek up Volcan Villarrica and ski or snowboard along the edge of crater while leaping from lava-flow formed halfpipes and eaves. The National Parks boasts spectacular day treks; the best way for appreciating all the Lake District’s glorious beauty. Shrouded in lush forest and temperate rainforest, Puyehue National Park’s trekking trails are some of the most impressive in the country. Bonus: the area’s German-inspired cuisine has made a name for itself and keeps travelers satisfied with hearty soups, meat, potatoes, and seafood. Known better by its nickname as “The End of the World”, the aptly named, southernmost region in Chile is isolated albeit extremely intriguing. This triangular archipelago — explored by the likes of Charles Darwin and Ferdinand Magellan — presents a rough and rugged front that gives way to charming allure. This region can be explored on foot, but some of the most spectacular tours are conducted from the water. What to do: A boat trip to Cape Horn — the ominous black cliffs rising from thetreacherous seas — is an exhilarating excursion you’ll be talking about for the rest of your life. Another way to discover this region is by sailing or cruising through the magnificent fjords while stopping to trek along deserted coastlines and dramatic glaciers. The island of Chiloe bursts with color and culture, instantly making visitors feel welcome and inspired. 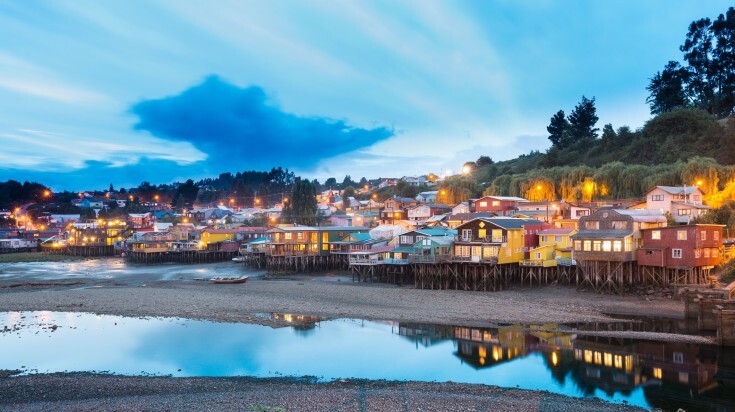 Chiloe’s striking landscape is complimented by brightly painted wooden churches (16 of which are UNESCO World Heritage Sites) and over-water stilted homes. Populating Chile’s fifth largest island are a spiritual people whose culture revolves around mythology, witchcraft and folklore, making Chiloe a strange yet irresistible destination in Chile. What to do: Horseback riding through the Chiloe National Park allows visitors to experience the rushing rivers, serene lakes, and long beaches framed by dark green forests. In contrast, visit the town of Castro where you can find a vibrant display of the island’s characteristic palafitos (colorful stilted homes), excellent seafood restaurants, and plenty of arts and crafts shops to satisfy all your souvenir-buying needs. 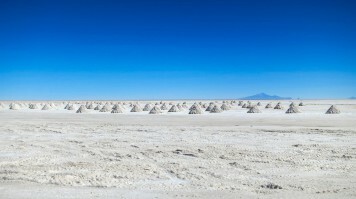 Chile is cultural playground set amongst pristine land seemingly untouched by humans. Age-old traditions strongly live on, preserving the country’s heritage. Magnificent mountains and remote trails beckon rugged travelers who are looking to get off the grid while the quaint towns found along the way appeal to those with a softer side. Whether your goal is isolated travel in nature or meaningful encounters with locals, the top places to visit in Chile offer all this and everything in between. 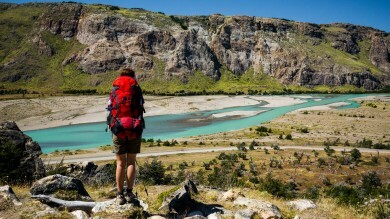 For more on what to do in Chile, read our things to do in Chile.